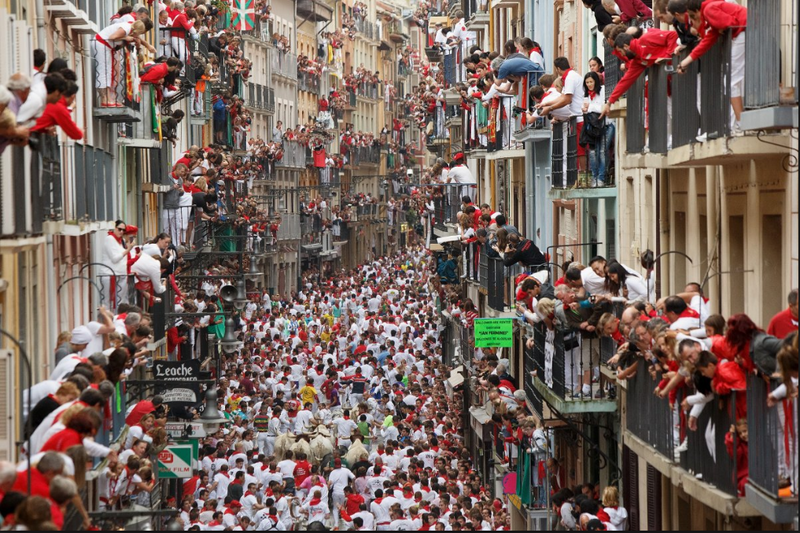 OK, another year has gone and your bucket list item to visit Pamplona during the Running of the Bulls (July 7 annually) but hope springs eternal there’s always next year. 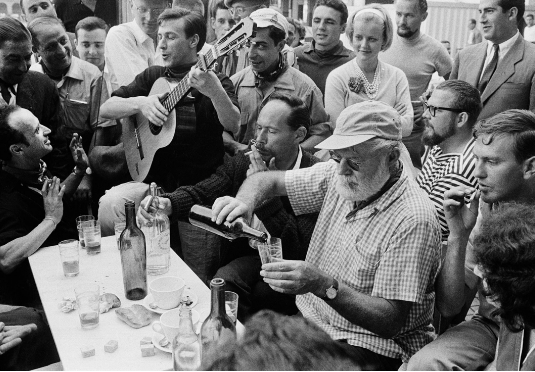 To whet your appetite go to a very enthusiastic blog called Bull Balcony, a site that inspires a trip to Spain to see the Running of the Bulls. If this site doesn’t fire up your imagination it’s too late for you—stay home. Q: What does the red bandana signify? A: That you're an idiot. 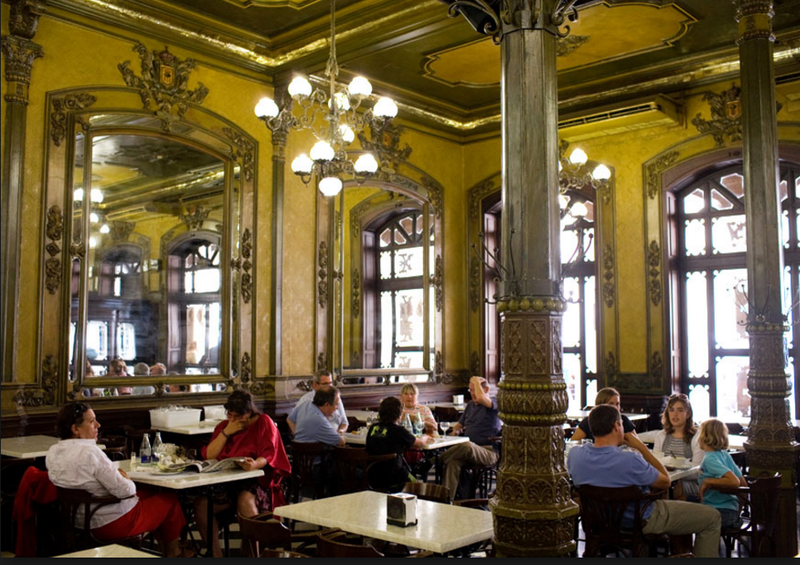 CAFE IRUNA, PAMPLONA, WHERE HEMINGWAY STATUE CAN BE FOUND AT THE BAR.